Generations and worlds apart, the two collages pictured above both project eerie, surrealistic feelings. 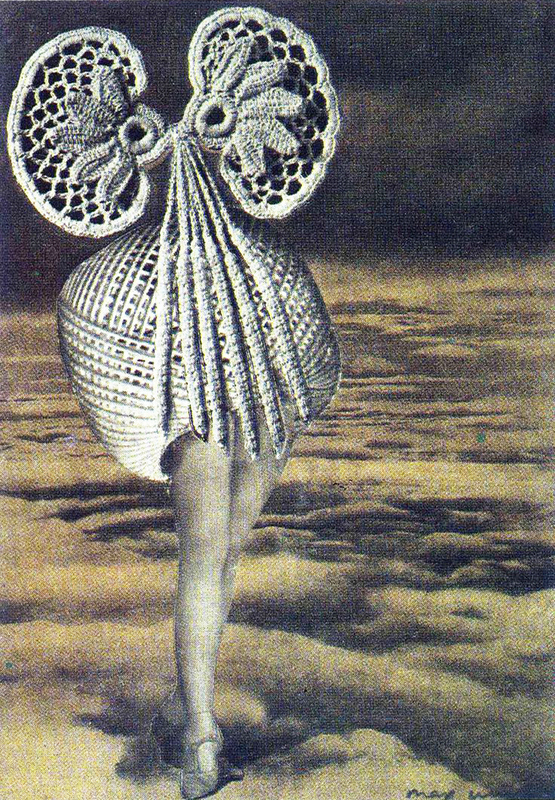 Above: 'Above the Clouds Midnight Passes' from European pioneer Max Ernst from 1920. 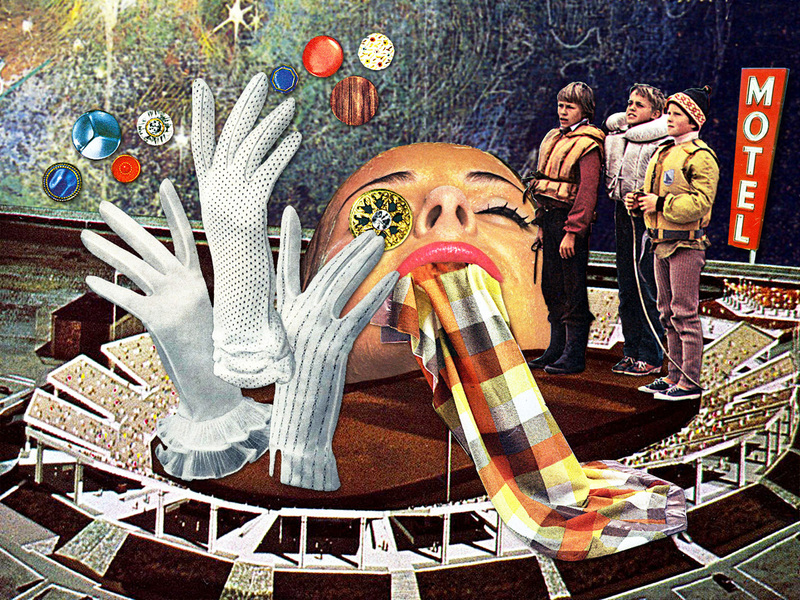 Top: 'Young Shamans on Tryptamines,' a recent creation by Northern Californian Eugenia Loli. Few school kids in America make it past the fourth grade before creating their first collage. A little glue, some pages clipped from a magazine—and presto, you've made art. Today, of course, you don't even need glue. You can create beautiful digital collages using apps. Why then do some thinkers argue that something as simple as pasting together scraps of paper found, say, on the street represents "the most far-reaching formal innovation in the arts of the twentieth century," in the words of Notre Dame professor Stephen Fredman? And why is the art of collage seen by many historians and artists as particularly relevant for the world we live in today? Collage has, after all, been a technique used by fine artists for more than 100 years, ever since Picasso and Braque began pasting tattered newspaper clips, bus tickets, and the like onto their canvasses. To Lynn Hershman Leeson, an internationally known San Francisco artist, collage is central to how people today make sense of the world. "My work is all about mutations and hybrids and crossing one thing with another," she says, adding, "You're merging things, and discovering things. Collage is really key to my work." What is the Web, after all, but a giant collage, a tossing together of elements from everywhere that users feel free to slice and dice to produce content of their own, like hip hop musicians with their sampling. "We are bombarded with all this information—24-hour newsfeeds, Facebook feeds, tweets," says Val Britton, a San Francisco artist. "You can think about collage gathering all of this information in, and using collage to sort through it and create new meanings out of it."